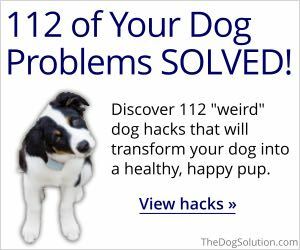 Ark Naturals Brushless Toothpaste Medium Dental Dog Chews are made with natural bad breath fighting ingredients like alfalfa, cinnamon, clove, and vanilla. The chews help with plaque and tartar build-up and are Gluten-Free and Grain-Free. We have a winner! My dog loves these toothpaste dental chews. I am very happy to give him treats that help keep his teeth clean and healthy. For more information visit http://www.chewy.com. Wild Caught & Sustainably Raised Alaskan Cod is the #1 ingredient. Other primary ingredients include chicken, liver and fish broth. There is no corn, soy, or soy in this recipe. It’s high in protein too. My dog ate the first 3 cans without an issue but for some unknown reason, he would only eat half of the canned dog food and then he started not to eat it at all unless I mixed his treats in it but he became constipated so I stopped doing that and he just wouldn’t eat it at all. It’s very odd because he loves to eat and will eat almost anything. I really liked that the flavor was Alaskan Cod because fish is very healthy and he loves tuna! Maybe he was just being picky but I was happy with what this food provided for my dog. Disclosure: I received the reviewed product in exchange for an honest review as a Chewy Influencer. Did you know there’s just ONE foundational reason why? Those stories have been on auto-pilot AND auto-repeat – since the day you were born. And those stories… well, they’re keeping you stuck. Like millions of others, you’ve I’m sure you’ve found it almost impossible to unravel and rewrite those old stories of scarcity into a new story of unlimited abundance. To discover just how close you are to unlimited abundance. All that… is truly closer than you ever thought possible. 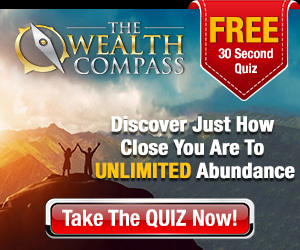 Are you ready to discover just HOW close unlimited abundance is? Then it’s totally worth 27 seconds of your time to find out. Bing Rewards – Earning rewards is easy, simple, and fun. Just search, shop, or play with Microsoft and you’ll be on your way to earning more than ever. BitVideo – Watch movie trailers, viral videos, cooking videos, and more. Earn BitVideo Coins (BVC) as you watch our engaging videos. Exchange BVC and withdraw instantly to FaucetHub. Ka-ching! Branded Surveys – Tell us about yourself and we’ll send you relevant surveys that match your individual profile. We pay you cash or gift card rewards for completing surveys. Cash Crate – Do you know that companies are paying top-dollar to have users like you try their products and services for free? At CashCrate, we pass that money on to you. Simply complete free offers and get paid without spending a dime! CinchBucks – Get CinchBucks by answering surveys, completing simple offers. Then cash in your cinchbucks for cash, gift cards and other amazing rewards. ClixSense – ClixSense is a global online community with multiple earning options. Join now and start earning with paid online surveys, cash offers, Figure Eight Tasks and more! Crowdology – Get paid up to $10 for every survey you complete so you can spend it on the things you love. Earning Station – Join EarningStation and start getting rewards for completing daily online activities like taking surveys, shopping online, watching videos. E-Poll – You’ll then get surveys by email which can offer 500 – 1000 points to be used towards Amazon, Starbucks and PayPal rewards. E-Rewards – Share. Learn. Earn! Join us – We want to Reward you for YOUR opinions. Fusion Cash – Get Paid to Sign Up, Watch Videos, Surveys, Paid to Click, Tasks, Mobile Apps, Games, and More. Gift Hunter Club – Earn points with surveys, contests, adverts, and even with friends, you will get points! Exchange your points for gifts! Choose among our extensive offers and get your gifts for free. Global Test Market – Earn rewards for taking paid surveys. Surveys are a fun way to learn something new. FREE to join. Grab Points – Watching TV, Answer Surveys, Complete Offers, Download Apps. Inbox Dollars – Offers, Games, Surveys, Online Search and More. instaGC – Completing Surveys, Watching Videos, Shopping Online and Searching the Web. Ipsos i-Say – Complete Surveys. irazoo Use code: 4A7D3Q for extra points. – Download Apps, Watch Videos, Paid Surveys, Complete Offers, Play Games. iSurveyWorld – We will pay you cash for each survey you complete. We send all our payments via paypal. Start Earning Now! MindsPay – MindsPay is an internet site that compensates its members to test out products, services and give feedback on those tested. My Points – Shop Online, Read E-mails, Share Your Opinion, Watch Videos, Discover Content and More. MySurvey – Have fun and get paid for doing surveys. National Consumer Panel – Join National Consumer Panel today. Share your shopping opinions, earn points and enjoy great rewards. Offer Nation – Complete Surveys and Offers. 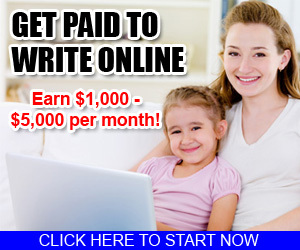 OneOpinion – Earn Easy Money. Opinion Outpost – Take Online Surveys And Get Paid! Earn cash, rewards, and entries into a $10,000 quarterly prize draw! PaidViewpoint – We pay cash for every completed market research survey. We never screen you out once you’ve been invited into a survey. We’ve cracked the code that takes “boring” out of the survey answering experience. Panel Payday – Take Surveys, Get Paid. Pinecone Research – Earn points for every completed survey Redeem points for cash or prizes. Learn about products before they hit the market. Influence which products make it to the stores. Points Club – Earn points for completing paid online surveys. Trade in your points to earn money online from home. Prize Rebel – Surveys, Offers, Videos, Tasks and More. Product Report Card – Get paid for each online survey you complete. The more online surveys you take, the more money you will make. Qmee – Share your Opinion, Shop & Search to earn real cash rewards. Rewarding Ways – Make money online when you complete Paid Surveys, Paid Trials and Tasks at RewardingWays.com. Get paid the same day using Paypal, Payza or Skrill!! 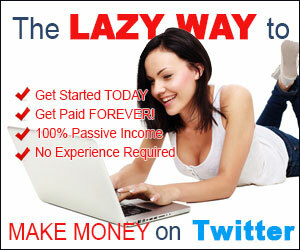 You can earn money online in your spare time. Work from home, at work, or on your mobile. Send Earnings – We provide direct cash rewards to millions of our members in the U.S. and U.K. for their everyday online activities, such as reading emails, taking surveys, playing games and signing up for offers. Squishy Cash – SquishyCash works with advertisers to pay you for signing up for free sites, completing offers, taking surveys, trying products & shopping online. SuperPay.Me – Earn money and gift cards by taking part in Free Paid Surveys and more. Survey Bounty – Join and get $5.00 deposited into your account right after registering. Earn cash for the surveys you take and get paid via PayPal. Help shape the products and services by voicing your opinions and participating in online marketing research. Survey Junkie – Take surveys. for Completing Online Surveys. Surveys You Want, When You Need Them. Swagbucks – Discover Deals, Watch Videos, Surveys, Games, Coupons & Cash Back, Daily Search, Daily Polls and More. TimeBucks – TimeBucks is a reward site where you can earn real cash for performing various tasks and activities that you already do everyday. You can earn cash from doing things such as taking surveys, watching videos, voting, installing free apps, playing games, performing web searches and much more! Toluna – You have the power to influence some of the world’s largest brands, share your insights, and be rewarded. Instantly. Treasure Trooper – Fill out forms, sample products, make money performing searches, surveys, complete tasks and get paid cash for it all! Triaba – Join Triaba today, respond to paid online surveys and earn between $0.50 to $5.50 for each online survey you complete. Make Money online in USA With surveys from Triaba! Valued Opinions – Take paid online surveys and make your views count. ViewFruit – Share Opinion. Earn Money. VIP Voice – Take Surveys. Get Rewarded. ZoomBucks – Completing Surveys, Watching Videos and Doing Offers. ShareASale has been a leading provider of performance marketing solutions for the past 19 years. My personal experience with ShareASale has been an excellent one. As a blogger there are endless companies to choose from. In one month I earned $275.03 in affiliate sales by just posting to my Facebook page. If you are a blogger or a brand and looking for a superb affiliate marketing program, ShareASale is for you. Below are some of what ShareASale offers. Learn how ShareASale can increase your sales, develop your brand, and generate interest in your site. 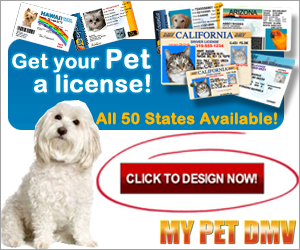 Find a sponsor for your web site. Get paid for your great content with ShareASale. Drive more traffic to your online store using performance based marketing through ShareASale.